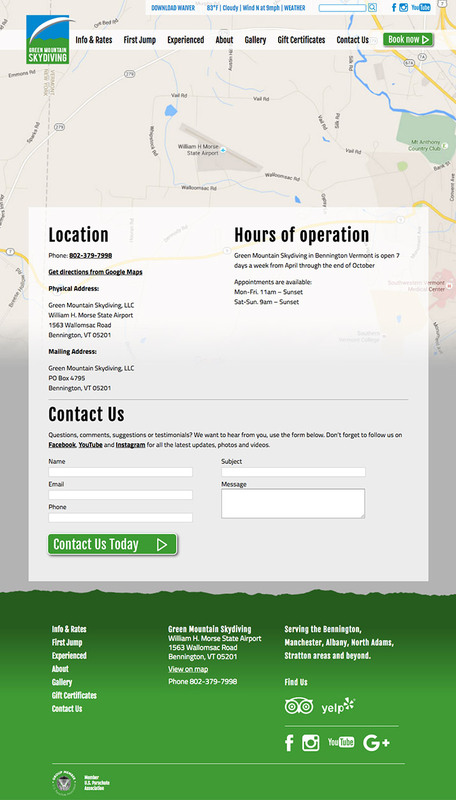 Green Mountain Skydiving approached Stonepier to create a logo and website for their new business. We created a clean logo that integrated the mountains of Vermont with a stylized parachute. 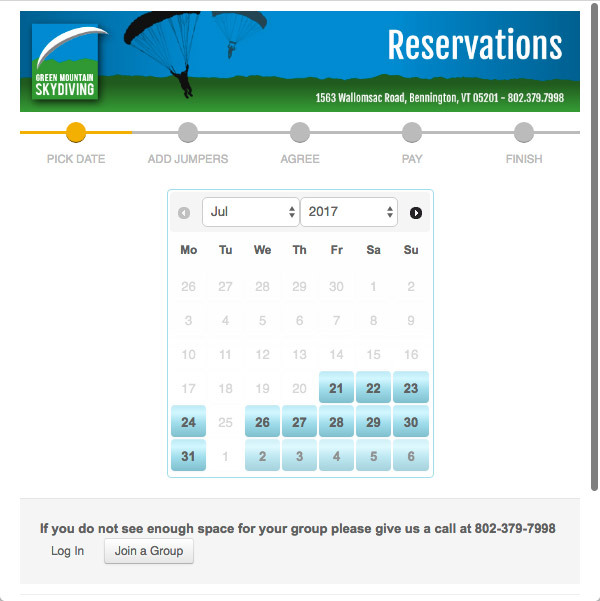 The website was fully responsive, integrated an online booking system, provided local weather on the desktop version and utilized SEO tools for excellent search results. We took this startup and brought it to the front page of Google searches. Unfortunately, like many start-ups, Green Mountain Skydiving is no longer in operation.